Casino Floor is no longer available . Click here for alternative casinos . Casino Floor wipes the floor with a lot of other online casinos. With its extensive online slot games, offered by a multitude of software providers, an actual 3D casino you get to navigate and explore that is stuffed with treats wherever you turn, Norway is setting a new bar for the online casino. The Casino Floor review gave me a chance to explore more than just the features of this innovative Norwegian based casino, licensed in Malta. Casino Floor says "We aim to become the market leader in Norway by delivering the most popular and entertaining games both to your computer and your mobile device. Today we offer a wide range of slots, traditional and new casino games along with a state of the art sportsbook. We will launch new games and products continuously, and our team aims to bring you the best possible gaming experience." 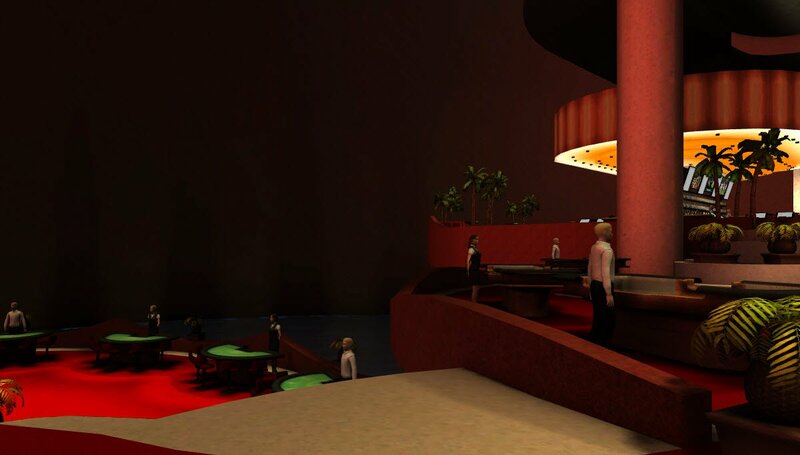 However, the unique design of the 3D Casino Floor, meant that I was able to explore everything they had to offer, without getting lost. Well, only getting a bit lost at first. Downloading Casino Floor is not an option, however, the instant play version loads the 3D casino in no time at all, and once you have loaded it initially it will load faster the next time. 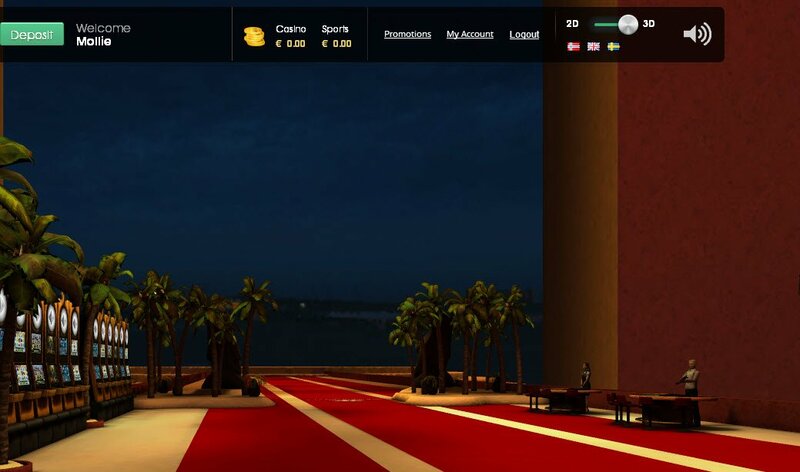 The casino and its support are currently only available to English speaking countries, with the exception of the US. Lain out on the Casino Floor are Net Entertainment, Microgaming and Oddsmatrix software providers. There's also some appearances from Betsoft and Play 'nGO. Such an eclectic range of Casino Floor games to play mean that you are bound to have fun even if you are only taking advantage of the 2D casino. This brings me to the ultimate feature in a live casino, the Casino Floor 3D online casino that lets you glide around the lobby that is lined with slot machines. There's even a bar for the sports fans amongst us to stop off at, and a help centre located in the middle of all the fun. As you go deeper inside this casino, you come to exclusive little table game areas, complete with dealers ready to welcome you to their game tables, whichever card game you wish to have a bet on. There's also a Casino Floor Mobile Casino for you to check out, as I'm having way too much fun in this 3D heaven to leave at the moment. The range of Casino Floor jackpots available is simply awesome. There are so many different progressive slots, with huge winnings attached from two of the leading software providers in the gaming industry; everyone is bound to find something to suit their tastes. Welcome to Casino Floor with a 200% bonus to get you started nicely. There are also free spins on offer to get you spinning those reels without hesitation. There are all sorts of Casino Floorpromotions, including weekend spins for free, and special Wednesday free spins to wow you. With so many different online slot games on offer from so many different providers, Casino Floor's main attraction lies in the variety it offers, and it's 3D Casino Floor for you to explore! Banking options are the usual E-wallets, Prepaid Cards, and range of familiar payment methods to deposit to Casino Floor quickly and simply. Withdrawing your winnings is limited to fewer options, as is normal with any online casino. Casino Floor says it offers 100% Scandinavian support. You can be sure all your questions will be answered, and polite and courteous help will be provided, with a turnaround time of two hours after completing their online web form. There is no live chat, and operators only work 11 hours a day. -Exciting 3D casino to explore!